The book starts out with three adjectives to aptly describe our nation: big, beautiful and diverse. The messages in this book are primarily conveyed through bright and quirky illustrations. 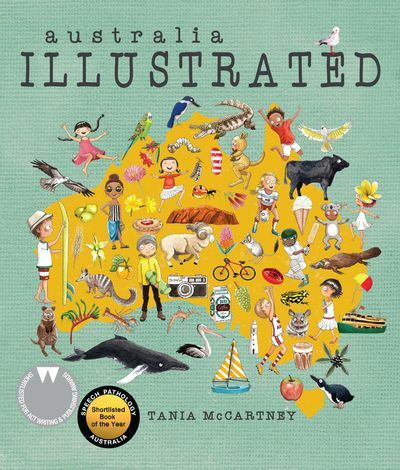 It lists all things uniquely Australian, and all the things we love about our home, from a child’s focus. 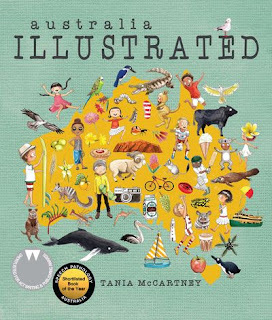 After the bold introductory statement, the book goes onto show native and endangered Australian animals, iconic and bush foods, precious rocks, sport we love and play, swim wear, slang (one of my favourite pages, as after 38 years in Australia, I’m proud to say I am familiar with all of them), various weather around our continent and famous Aussies. Each state is then explored, starting with New South Wales. There are landmarks, popular attractions, famous eats and all things each state is best known for and their pride and joys. One of my favourite pages is the Great Barrier Reef page, with different schools of stunning fish intermingling – just like the real thing! An engaging visual reference guide to all things Australian. Great for natives as well as those wanting to take a glimpse into our culture. Recommended for ages 4 – 8 year olds.